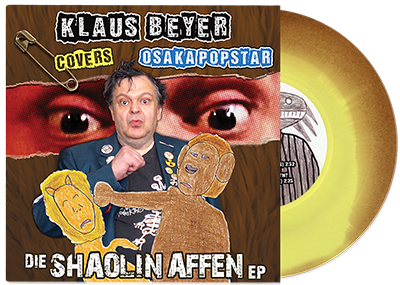 Osaka Popstar Presents Klaus Beyer's "Shaolin Affen"
ONLINE STORE ORDERS SHIPPING NOW! 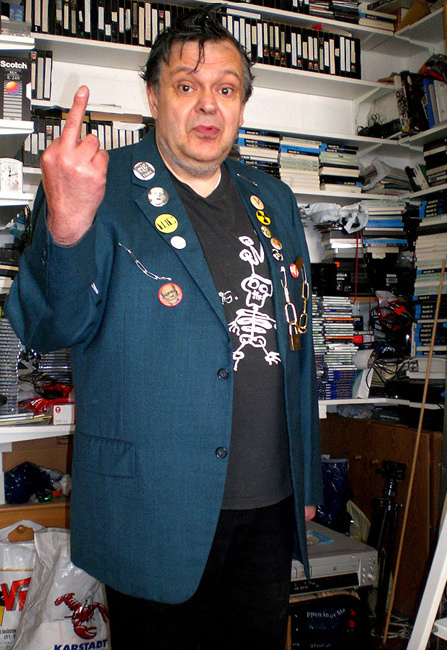 In one of the most unusual and eclectic musical team-ups in contemporary punk-rock, German outsider artist Klaus Beyer, infamous worldwide for his off-beat, lo-fi, cover versions of Beatles classics, (often utilizing the original music track), now sets his sights—and sounds—on inimitably crooning adapted German language lyrics to the anime inspired punk-pop stylings of NYC’s Osaka Popstar. All orders at the Osaka Popstar Online Store, or the Misfits Records Online Store can specify the color of their choice, AND at a price below you'll find in stores! 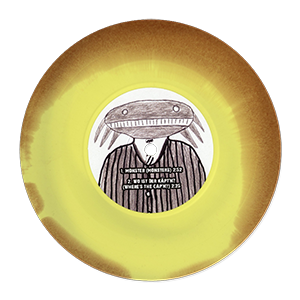 Also available for purchase is the ultra limited "Monkey/Banana Mash-Up", a brown/yellow transitional vinyl blend. ONLY 100 pcs worldwide! Not sold in stores, order exclusively from the Osaka Popstar Online Store, or the Misfits Records Online —while supplies last! and Frank Behnke (Producer & ex-Mutter guitarist). Each purchase includes instant MP3 download of all three tracks on the EP. "Die Shaolin Affen EP" currently featured as "Tip of the Month" at New-Vinyl.com! Digital EP available now worldwide at iTunes, Amazon. iTunes edition includes 3 exclusive videos! The surreal outsider art of Klaus Beyer leaps off of the page of his sketchbook, and onto great Ltd Ed. T-shirts, for the first time ever! Order the Shaolin Affen Collector's set, and get 10% off either T-Shirt OR both! Inspired by the Osaka Popstar song, Klaus Beyer illustrates a "Shaolin Monkey" casually knocking out the king of the jungle! 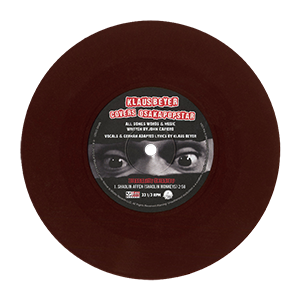 As seen on the cover art of the new 7-inch EP, and featured in the "Shaolin Affen" music video directed by Jörg Buttgereit. 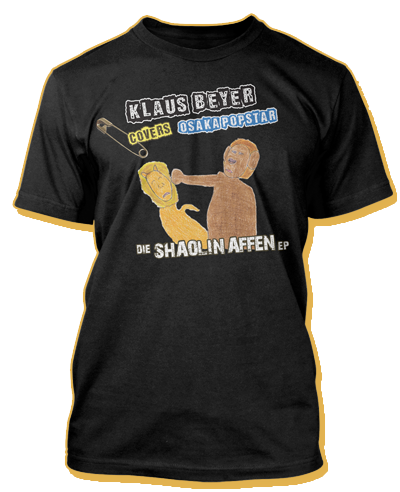 This full color tee also includes the "Klaus Beyer Covers Osaka Popstar" safety pin logo, and "Die Shaolin Affen EP" title graphic. Inspired by the Osaka Popstar song, Klaus Beyer illustrates "Monsters" wearing suits and ties! 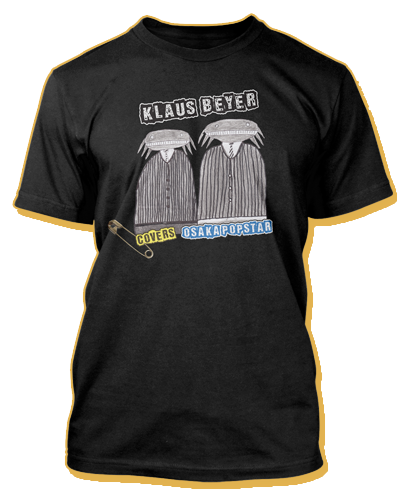 Great full color tee bookends the "Monster" art (seen on the back cover of the new 7-inch), with the Klaus Beyer Covers Osaka Popstar" safety pin logo. Use the zoom feature in the online store for a close up view of each T-Shirt design. 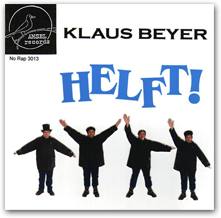 Klaus Beyer, best known for his off-beat, lo-fi, German language cover versions of Beatles classics, (often utilizing the original music track), sings his adapted German lyrics to Osaka Popstar’s “Shaolin Monkeys”! The song, (written by John Cafiero), translates to “Shaolin Affen” when performed by 5th Beatle and actor in the Schlingensief Team, Klaus Beyer. Cafiero, had made mention of Beyer, and his Beatles work, in a syndicated radio interview with “Out of the Box” host Amber Kuhl. The music video for “Shaolin Affen” was produced and edited by Frank Behnke, ex-guitarist for the band Mutter, and manager to Beyer. Behnke, active in the film and TV industry, is also known for directing documentaries for German TV, including the making of David Lynch’s film “Blue Velvet”. Behnke sent Beyer’s recording of “Shaolin Affen” to Cafiero as a surprise. “I couldn’t believe what I was hearing.” Says Osaka Popstar vocalist and producer, John Cafiero. “I really enjoy Klaus’ Beatles stuff, I have his whole catalog, so it was totally surreal to hear one of my songs get that same Beyer treatment. I absolutely loved it. Klaus even created an original drawing for “Affen” and made a proper CD single to send me. I was very flattered. I thought Klaus’ “Die Glatze” video, and others he’d made, were very cool shorts. I was really enthused by the idea of a video for “Shaolin Affen”." 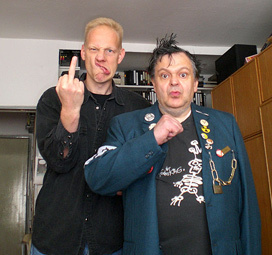 Director Jörg Buttgereit transformed Beyer into an 80’s punk for the video. 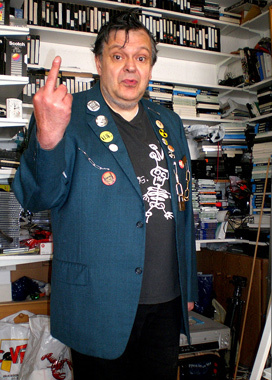 He reflects: "It was great fun making a Punk rocker out of Klaus Beyer by dressing him in my old Punk outfit. And it was an honor to work for real American Punk legends." Buttgereit shot in a format both he and Beyer are familiar with, Super 8 film, and included alternate shots in Hi-8 video (filmed by Frank Behnke) to contrast it. "Shooting SHAOLIN AFFEN was great," says Behnke. 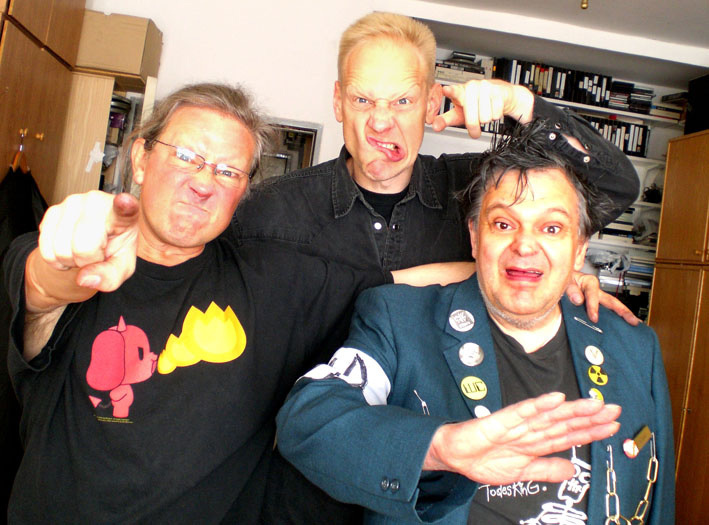 “In Berlin in 1980/81 the punks were hanging around the Kottbusser Tor in Kreuzberg district right there in front of Klaus Beyer’s apartment where we filmed it. But he was not participating in the punk movement then. Now, almost 30 years later, Osaka Popstar's music inspires Klaus to catch up on punk in the Super 8 clip SHAOLIN AFFEN." "I'm really a quiet person.” Says Beyer. “It's the total opposite of my personality to be noisy and aggressive. So in SHAOLIN AFFEN I worked hard playing the part. I translated the Osaka Popstar song directly from the original. It was a really good time." 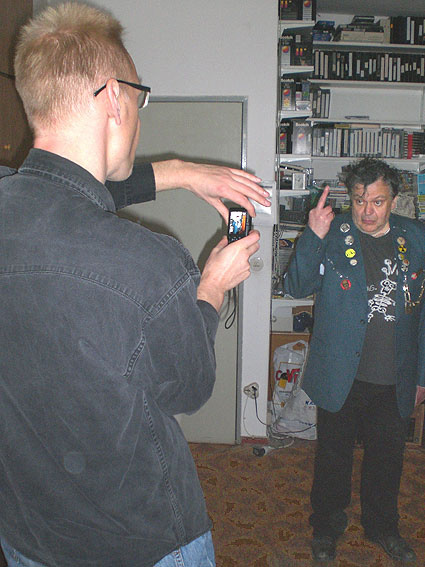 Behnke concludes, “It looked funny to follow the 60 year old, black haired Punk version of Klaus, full of chains and buttons, wearing a rotten, tight TODESKING shirt, with a super 8 camera in the Berlin Kreuzberg streets. It's a strange world indeed!" Klaus Beyer’s “Shaolin Affen” debuted on Irwin Chusid’s radio show on WFMU (91.1 FM and 90.1 FM and worldwide via the internet). Pick up the Ltd. Ed. 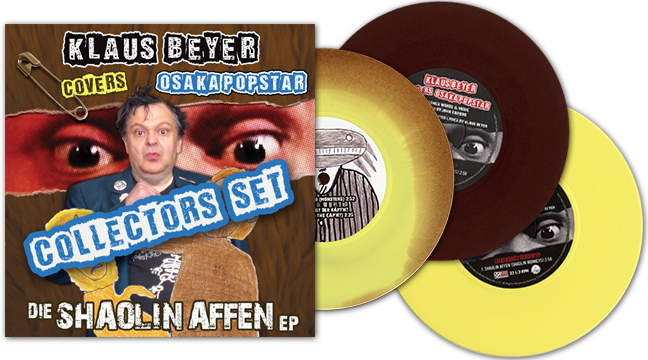 “Klaus Beyer covers Osaka Popstar” 7-inch EP in the Misfits Records Online Store and the Osaka Popstar Online Store, or at a record shop near you, while supplies last. 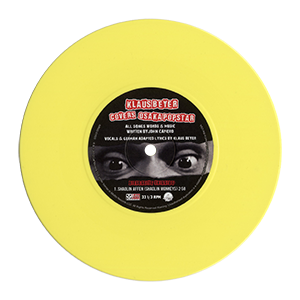 Look for the original version of the song performed by Osaka Popstar on the “Shaolin Monkeys” shaped vinyl picture disc, also available in the online store. Check out Klaus' other recordings, including some of his Beatles covers, on the Official Klaus Beyer YouTube Channel and visit the Official Klaus Beyer Website.